The Messent Conservation Park is a mallee park which contains the natural habitat for the Mallee Fowl and Silky Mouse. The park has great plant diversity, including brown stringy barks, white and ridge-fruited mallee, desert banksias, fringed myrtle and yacca which grow in the sandy flats. Visitors will find wombats, echidnas, western grey kangaroo, emus, mallee fowl and seasonal water attracts water fowl. Tracks of the Mallee brochures & maps are available from Heart of the Parks. Ngarkat Conservation Park, named after a tribe of Aboriginals who used to inhabit the area, is one of the largest mallee parks in the state. The park covers a total of 270,152 hectares. 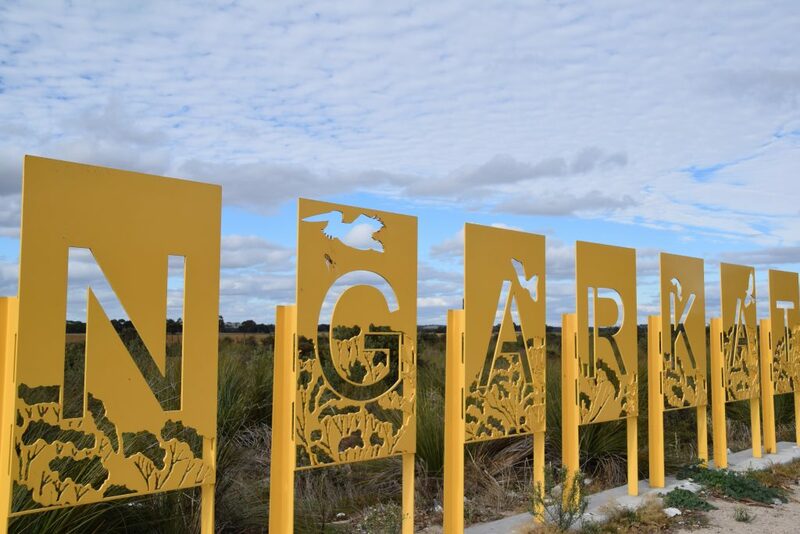 Visitors will see vast mosaics of mallee woodlands and heathlands covering a system of remnant coastal dunes. Camp sites are clearly marked with designated tracks into them. Bucks Camp is a short drive (4WD) from the south-eastern entry to the park, and provides picnic tables and a nearby walking trail. Rabbit Island Soak is a little further also via a 4WD track. Don’t leave until you have experienced one of the great walking tracks. The following are accessible via Tintinara, Snoswell Road, Southern Boundary Track. Goose Hill Hike is 1km return and boasts magnificent views. The Coorong National Park can be accessed from Tintinara via the Woods Well Road and is a journey of approximately 50km. The Coorong stretches from the Murray River mouth and features scattered islands, swampy marshes, salt pans, seeping water bogs, rock lined shores and teatree swamps. Flowing dunes highlight this landscape created by forces of wind. The Coorong and Lower Lakes are a Wetland of International Importance under the Ramsar Convention, and provides drought refuge for 85 species including two nationally threatened species, the Orange-bellied Parrot and Mount Lofty Southern Emu Wren. Pelicans, waterfowl, wader bird, plovers and ducks of many species may be seen. The Coorong also supports a large number of native fish species including the nationally threatened Yarra Pygmy Perch. There are a number of well sign posted nature walks starting near Salt Creek. A taste of the renowned Coorong Mullet is a must before you leave. Tourist Information is also available at Heart of the Parks at Dukes Highway, Tintinara on 8757 2220 or Coorong Cottage Industries at The Chambers, 14 Princes Highway, Meningie on (08) 8575 1770.